Internationally renowned spoken word artist Polarbear conjures a seamlessly integrated world where language, live music and cutting edge projected visuals combine to tell the story of a man living far from his past. A past he can’t cut loose. Drawing on Polarbear’s own experiences of leaving his life as a Brummie builder and heading to London to be an artist, and, soon after, a father, Old Me invites us to reflect on the moments in life in which everything changes, and why we take the decisions we do. Polarbear specializes in sparse, straightforward storytelling with a unique sense of poetry. 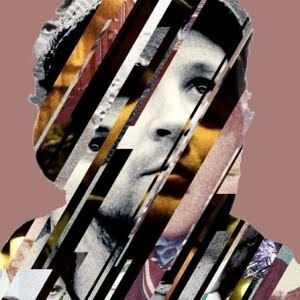 In the six years since he downed tools on the construction site and hopped on the train to London, he has carved himself a reputation as one of the most significant spoken word artists in the UK. 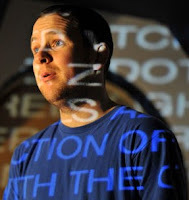 This is his third full length performance piece, following RETURN- A Spoken Screenplay which opened at Battersea Arts Centre then toured nationally and internationally in 2010/11, and If I cover my nose you can’t see me, which toured nationally in 2008/09 and closed the London Literature Festival. His work has featured on BBC Radio 1, 3, 4 and 6 and he leads writing and performance projects nationally and internationally. Old Me is directed by Leo Kay whose recent work includes his one man show It’s Like He’s Knocking, originally performed in a Balham bedsit prior to a tour throughout the UK. Past work includes Mr Sole Abode and A Geographic. A live musical score is provided by Daniel Marcus Clark, a writer, composer, musician, storyteller and musical director. He has previously created soundtracks for numerous productions including Cutting the Cord (Flying Eye); The Irish Giant (Cartoon de Salvo); Return (Polarbear); Epiphany (Theatre IS…) and The Box (Lucid Incident). His own show Earfilms won first place in the UK Young Artists Awards 2010, and he is currently developing the concept with RNIB, St Dunstans, the Roundhouse and De La Warr Pavilion.